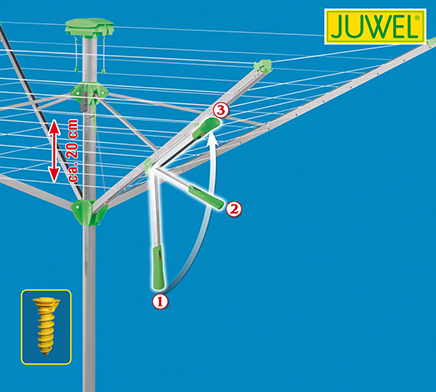 Save energy and give your clothes a fresh air smell with our highest quality rotary clothes dryer. The Evolution 600 Lift opens and retracts with an easy one-hand lever and the height adjusts from 5’3” to 5’11”. The retractable cover keeps the lines clean between uses. It holds up to 3 to 4 loads of laundry on 167 feet of line. 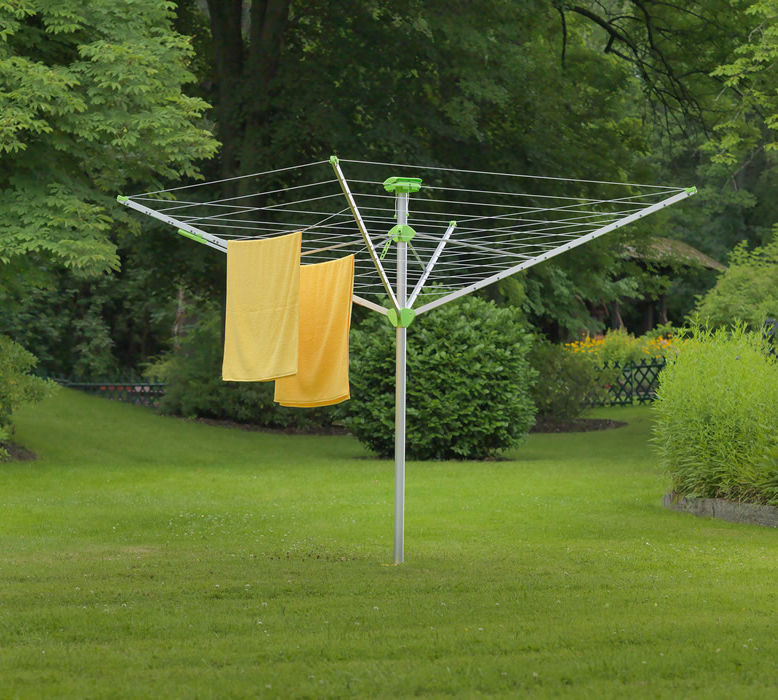 The new Evolution 600 Lift is our highest quality clothes dryer. Clothesline opens and folds up with an easy gas spring one-hand lever. The cover keeps the lines clean between uses and even retracts automatically during opening! Height adjusts to 6 different positions from 5’3” to 5’11”. 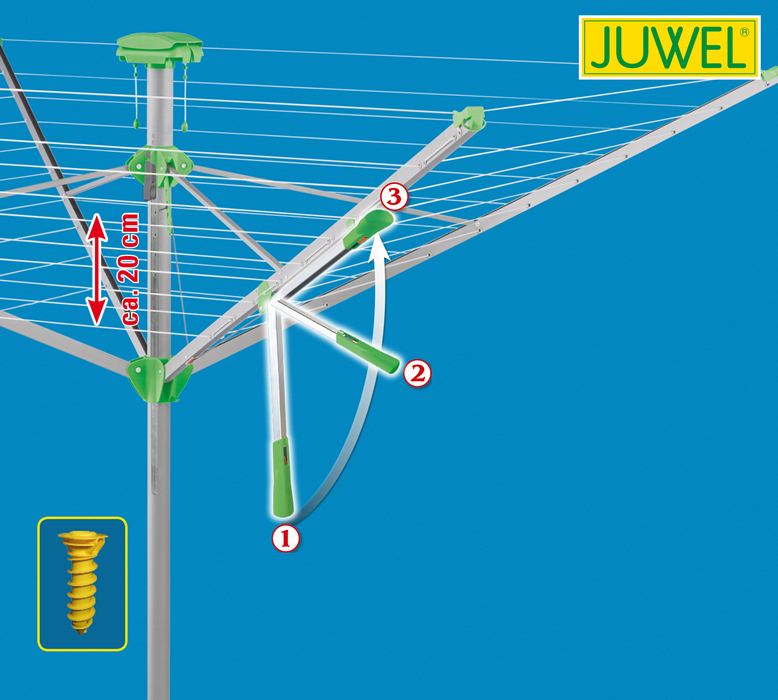 It also has 51 meters of line for up to 5 to 6 loads of laundry. No need to worry about loose lines, the Evolution has a self tightening mechanism and strong Twaron line. Comes with an easy to install ground socket for easy installation. 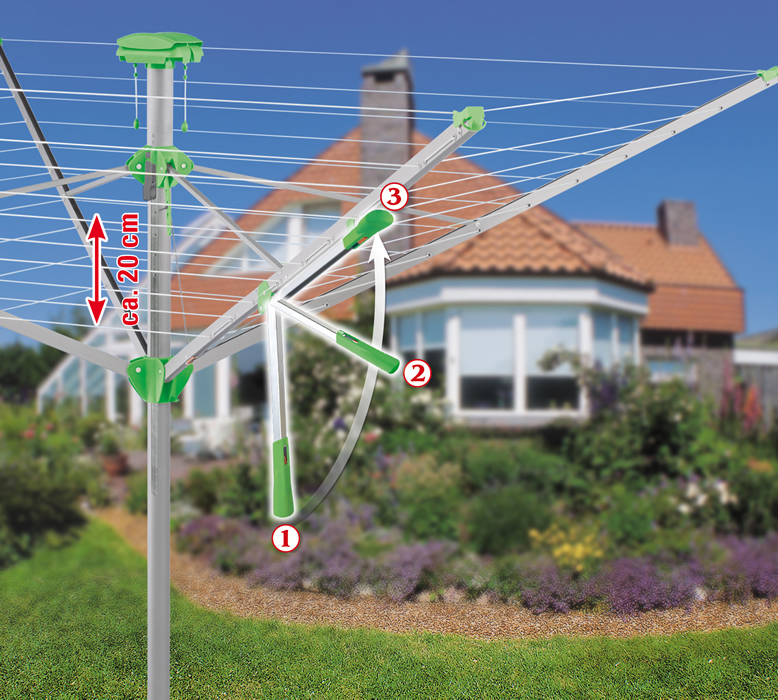 This ground socket also allows you to remove the lightweight dryer for easy mowing or if you prefer to store it when not in use. Comes with a 2 year warranty (cover excluded). Open: 81.5" x 81.5" x 63" to 71"